Finally, I have the Bloom collection. The search for these turned out to be completely fruitless. I heard a tip that these were found at a grocery store here called Winn Dixie, but the one closest to me did not have them. Thankfully, Kimberly from Libby's Pink Vanity scored some for me at the Winn Dixie near her. Thank you! Cherry Blossom is a pale warm toned pink creme. 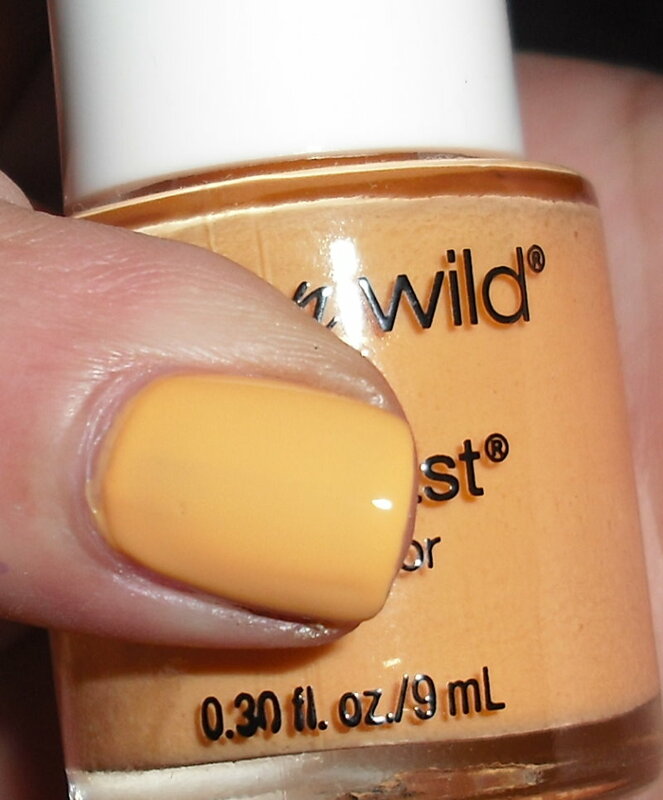 Sunburst is pale orange creme. Collecting Pollen is a pale yellow creme. Garden Hose is a pale minty green creme. Bird Bath is a light blue creme. Laughing Lilac is a light red toned purple creme. 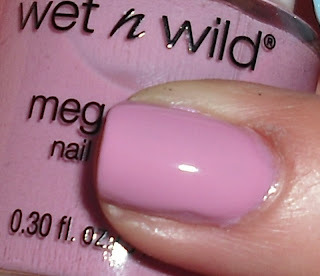 Wet n' Wild is starting to tick me off with their new & LE polish collections. I love Wet n' Wild, but I swear the past few collections seem to be only found at Rite Aid or other stores that don't exist here in Florida. I've noticed some collections are exclusive to Rite Aid. I know this is selfish, I'm sure, but I rely on Walgreens and CVS to find my drugstore goodies. It stinks that these collections are getting harder and harder to find. I sent Wet n' Wild a email back in April asking if the Bloom collection would be available at Walgreens, and they didn't reply to me until June. I also asked if it was possible to purchase stuff from them online or in another way. They said it's up to the store one what they decide to put out, and they don't sell their products online. So, should I blame Walgreens? From what I gather majority of people are not finding these newer collections at Walgreens. I've heard few scores at CVS which usually doesn't carry Wet n' Wild, but not Walgreens. What's going on? I have yet to find the new Mermaid's Cove collection, and other LE makeup collections from Wet n Wild. It stinks, and I'm fairly confident I'm not going to find these at Walgreens, so I've pretty much given up on the search. I haven't found Mermaid's Cove either. :( I live in Iowa and there is no Rite Aid to be found! I kind of just take WnW as it is. If I find it, cool. If I don't, oh well. I can't get mad or it will drive me crazy! I love the way all these colours look together - soft and pretty. Would be great to use for an Easter manicure next year. Hmm...haven't seen these anywhere in Canada. I know how you feel about when colours you like are exclusive to certain stores that aren't nearby. Very frustrating! And that's bad customer service replying to your e-mail so late! Tsk tsk. Ok kudos to you for getting these to work - I got two from the collection that came out around Easter and I could not get them to paint nicely. I might try again though cause those are incredible colors! I doubt I will find these in Canada, even though I'm practically drooling on my keyboard from your swatches. They are such beautiful colours! Ugh. I wish WNW would sell online too! I miss out on SO many limited releases! These colors are all so cute but I haven't seen them anywhere yet, grr! I've been looking for this collection and nothing :( I love the colors! you lucky girl! they are gorgeous. still haven't shown up in my area (sigh). i agree. the rite aid is a long and expensive train trip to san fran for me. I only go there if i'm already in that part of town. cvs/walgreens are in my hood and they never have anything new.. or if they do...there is only a limited amount! I feel your pain. The Bloom and the Mermaid's Cove collections are nowhere to be found, around here. I received the bloom collection in a giveaway, otherwise I wouldn't have it. LE collections, in general are few and far between. And I am so sick of hearing that such and so is exclusive to this store or that one. There is no Rite Aid, or Osco, here. I don't have a Walgreens anywhere near me so I can't say wether they have the collections where I am in California or not. But I do live near a few Rite-Aids and CVSs and I haven't seen any of the LE collections at either of those places either! Super frustrating! WnW maybe underestimating themselves. They need to more of their stuff out! Boo, I'm sorry. I understand you're frustration. Yeah, it's really random. Who would of thought Winn Dixie for polish. I wish we had Rite Aid! I did 3 coats on these. I built up the layers pretty thick though. I did 3 pretty thick coats. I can see they applied thin, so I just slathered them on! It would require more of a drying time though. Yeah, I'm starting to have to take on that attitude. I used to be able to find the LE collections they'd eventually show up at Walgreens, Now, not so much. Oh well. If I lived somewhere that sometimes got them, I'd still get annoyed, but we never did. It's unfortunate, but I guess there's nothing I can do! Its funny, I ONLY found this and the Mermaid's Cove collection at CVS, and my CVS is normally super lame. Even my marginally better Rite Aid is hit or miss with special collections...they might get one out of four. Haven't found either of those collections at ANY Walgreen's in my city, nor at a Rite Aid - but I DID find them at my (also lame) CVS. Weird distribution for sure! But these are pretty on you Steph. It's frustrating the way they do this - I have the same problem with SH distribution.